Chef Barb Batiste and her dessert company, B Sweet, are practically a Hollywood dream come true. Starting from her kitchen at home Chef Barb has always had a love for cooking and baking, and she is all about keeping that homemade, feel-good vibe in her desserts. 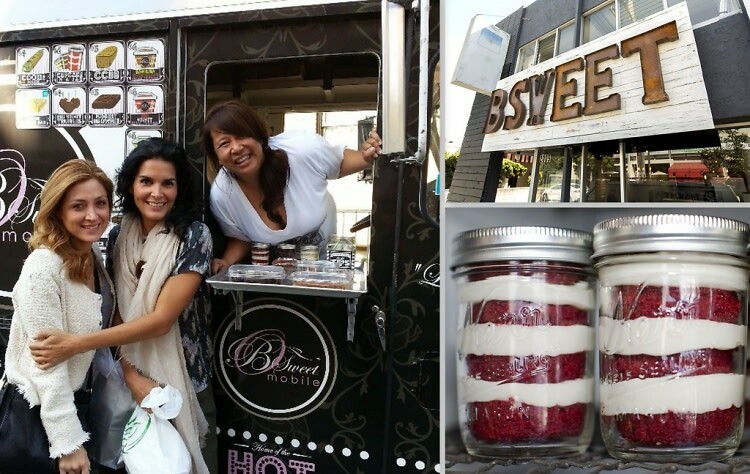 Today, B Sweet acts as a full-service catering company, has mobile food trucks that can be found all around the Los Angeles area, sells frozen bread pudding in Super Target stores nationwide, and is opening the first B Sweet Dessert Bar in the next few weeks. We had a chance to get a sneak peek inside the dessert bar, and also to sit down and talk with Chef Barb. Check out the interview to find out a little bit more about B Sweet, what we can expect from Chef Barb’s first brick and mortar location, and what is going to set B Sweet apart from other dessert companies.